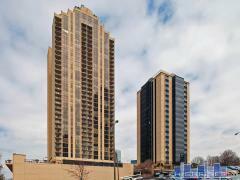 The Carlyle Buckhead is ideally placed on the “Park Avenue” section of Peachtree Rd in Buckhead. These beautiful homes feature large living rooms, libraries, covered balconies, designer moldings and expert touches. Many condos at The Carlyle have seen extensive renovations of the original 1970s designs. This quiet, gated community of condos in an upscale neighborhood is refined yet understated. Units have screened porches that double as sunrooms for the enjoyment of all seasons. Have any comments or questions about Carlyle Condominiums? Ask your question and/or share your thoughts about this Building. What are the approximate monthly fees and taxes.